Typically only a fraction of a centimeter in size, plant mites are a small pest that go largely undetected. They are hard to see with the naked eye and they attack a variety of plants including common landscape, garden, and even indoor plants. Mites feed on the moisture contained within plants cells, leaving behind curled yellow leaves. Aside from reducing the vitality of the plant, mites can also transmit viruses and diseases to plants that are equally, if not more dangerous. Though they are hard to detect, knowing and looking for the signs of an infestation is the first step to attacking the problem. Mite infested plants will display brown speckling on foliage (from feeding sites) and yellowing or dying leaves that begin to fall off inexplicably. Also, shaking the plant over a white sheet of paper may show the small speck of a pest. The most common type of plant mite, spider mites, will create a gauzy web across leaves and along stems. Unfortunately the cure that is most often turned to, chemical pesticides, actually encourages the spread of mites by killing the beneficial insects that prey on them. Mites have also been known to develop quick resistance to various pesticides. 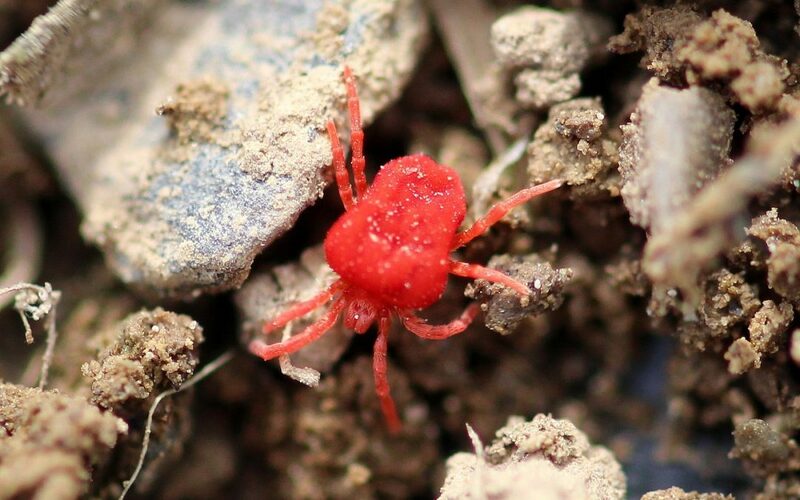 For these reasons, we prefer to use effective natural and organic methods to deal with mite infestations. If you think you “mite” have a problem, we can help. Call us at 717-564-1995 to learn more.